Tonight's Global Summit finale brings Erie native Harry Markopolos to the podium -- the man who unveiled the Madoff scam years before the feds prosecuted the financier. The whirlwind week for the Jefferson Educational Society comes to a close tonight with the Global Summit's Thomas B. Hagen Dignitas Award winner, Harry Markopolos. That award goes to an Erie citizen "who has made a significant contribution to the vitality of American democracy." What: "The Eight Year Undercover Campaign to Expose Bernie Madoff"
Why: Markopolos was working as a portfolio manager at a Boston-based securities firm when he figured out that Bernie Madoff was running a multi-billion-dollar Ponzi scheme, and he promptly alerted the SEC. That was 2000. It wasn't until 2008 that the feds investigated and prosecuted Madoff -- and that was only after one of Madoff's sons ratted him out. Meet a tiger in the road. Bonus Why: Markpolos wrote a book about his investigation of Madoff, called "No One Would Listen: A True Financial Thriller." Obligatory link to The Daily Show: Yes, Markopolos appeared on Jon Stewart -- in which he eviscerates the SEC. 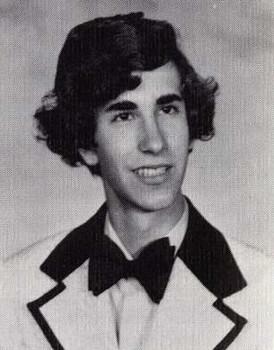 Erie stuff: Markopolos went to Cathedral Prep during his Erie days. Later he worked for Makefield Securites in the city, which was part-owned by his father.